A founding partner of Bannister, Wyatt & Stalvey, John F. Wyatt has practiced law at Bannister, Wyatt & Stalvey since its inception. Mr. Wyatt graduated from The Citadel in 1967 and received his J.D. from the University of South Carolina in 1970. He was admitted to the South Carolina Bar in 1970 and the U.S. Court of Appeals Fourth Circuit in 1974. Mr. Wyatt served as a captain in the U.S. Army from 1967-1975. 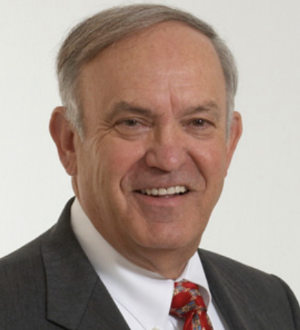 He was born in Greenville in 1944 and has received a listing in Best Lawyers in America for 15+ years (1999-present). He has been listed in “Super Lawyers” since 2010, and he was also listed in Best Lawyers in America, Property/Real Estate in 2004. Mr. Wyatt specializes in Real Estate and Property Law. He has tried cases in Commercial Real Estate, Real Estate Foreclosure, Real Property Acquisitions, Planning and Land Use and Eminent Domain. He is a member of the Greenville County Bar Association (Member, Real Estate Section), the South Carolina Bar (Chairman, Real Estate Section, 1989-1990; Member, Real Estate Section Council) and the South Carolina Bankruptcy Law Association (Board of Directors, 1991-1993). He is also LexisNexis Martindale-Hubbell Peer Review Rated.